One of the most interesting features of a mobile computer cart with battery is that they provide hours of uninterrupted power for continuous working. However, this is not all they provide, and in fact, Mobile Workstation Carts that have a hot swap battery system installed have many advantages over standard mobile computer carts. 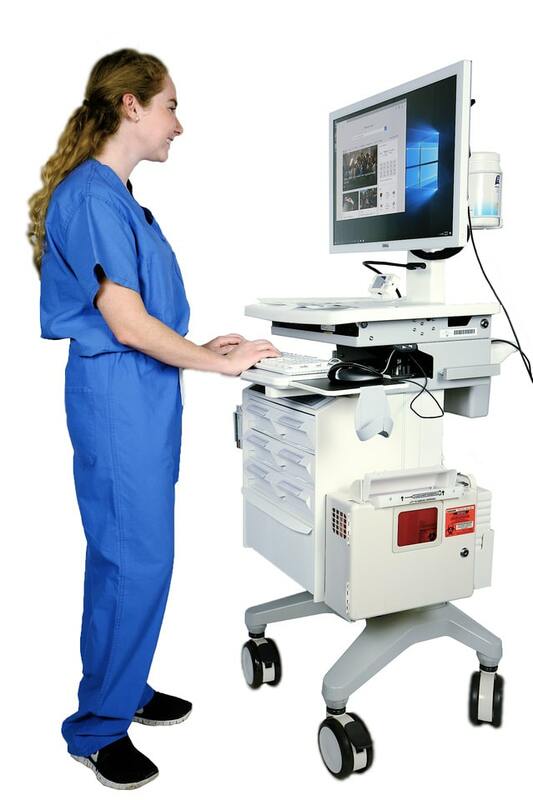 Let’s take a look at some of the advantages you will gain when integrating a such a mobile workstation cart into your clinic or department, and then outline each advantage by importance in both a medical environment as well as a commercial environment. Shift work is a continuous cycle of interaction between the staff and the patients/clients, as well as the staff and IT department. A mobile computer cart with battery enables the staff to maintain constant updates of information, as well as to perform online routine operational procedures such as purchasing requests and inventory counts and updating databases that are used to link ERP systems into one cohesive data management system. By maintaining a non-interrupted flow of data, shifts can transfer seamlessly with data flow to and from the various interlinked systems providing decision makers with up to the moment real-time knowledge. This leads to better, informed decision-making. A mobile computer cart with battery is a standalone mobile unit that can be moved around a specific area or cover the entire floor where a user will be able to cart along the computer workstation without worries of cables for charging or data transfer issues. The efficiency of a hot swap battery pack in a mobile workstation cart is that it provides the user with unfettered mobility and a no-worry shift. 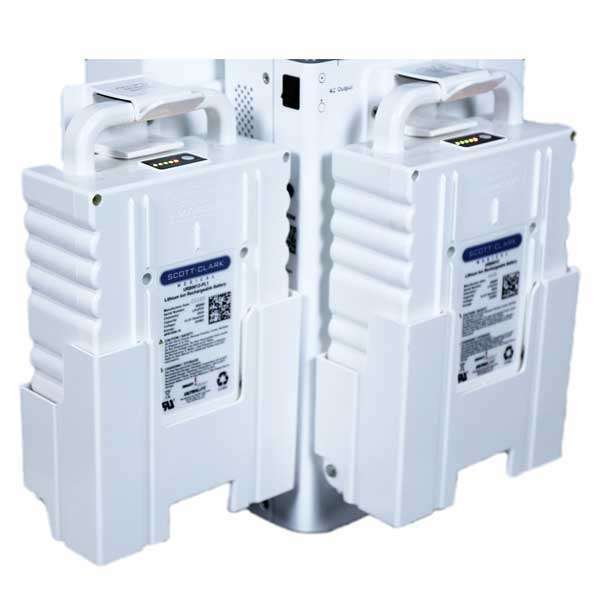 Where the battery pack provides unlimited power using two battery cells that work together. When one battery unit loses power, the second one comes on, giving the user enough time to replace the first battery cell and charge the depleted cell. This three-cell cycle for a two-cell battery pack provides 24/7 power that provides efficient mobility and assures the user and the system that data will flow uninterrupted from the mobile computer cart. One of the main concerns of any system, whether it is a for-profit or non-profit organization, is ROI on their asset investments. Mobile workstation carts are not only cost effective but also provide exceptional functionality. Mobile carts with batteries are designed for maximizing the efficiency of movement between the user and the computer and cart. Ultimately, this reduction in wasted movement, increase productivity and improves the return on investment ratio, which is effectively promising a reduction in wasted time during shifts and increasing productivity which is translated into profit. A mobile computer cart with battery is the most efficient way to improve efficiency in productivity, efficiency in the flow of data and overall profitability through an increased ROI. A hot swap battery system is the best form of Mobile Workstation Carts you can get.